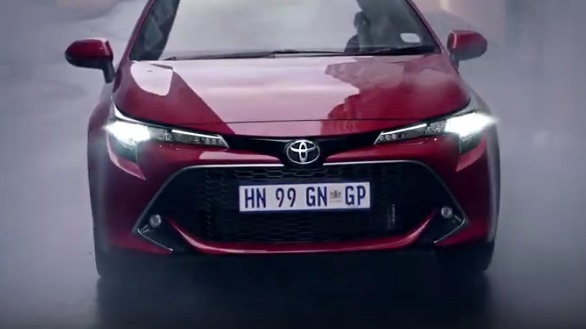 Toyota South Africa and FCB Joburg have launched the new Toyota Corolla Hatch with a 30-second television commercial directed by Your Girlfriend’s Morgan Dingle and supported by an integrated campaign with a strong digital component. Previously produced under the Auris mark and aligning with global naming protocols, the new vehicle has a comprehensive ‘chassis-up’ redesign, including angular styling and Toyota’s 1.2 turbocharged engines to appeal to the ‘expressive’ hatchback buyer. FCB Joburg was challenged to take the Toyota Corolla Hatch and make it a strong competitor and key motivator for the ‘expressive’ hatch driver, someone who regards styling as important as functionality and performance. “Corolla Hatch drivers are themselves stylish and quietly confident. Their style is personal, they opt for intrinsically exciting, classic and unique possessions not to attract attention, but because they are a natural expression of who they are. And it’s something they are passionate about,” van den Heever says. “The effortless styling of the new Corolla Hatch is definitely something that will ignite their passions. And, they may even become a little obsessive. That’s why we went with the pay-off line ‘Drive Your Obsession’,” adds van den Heever. The TVC features exterior and interior shots to show off the new styling.